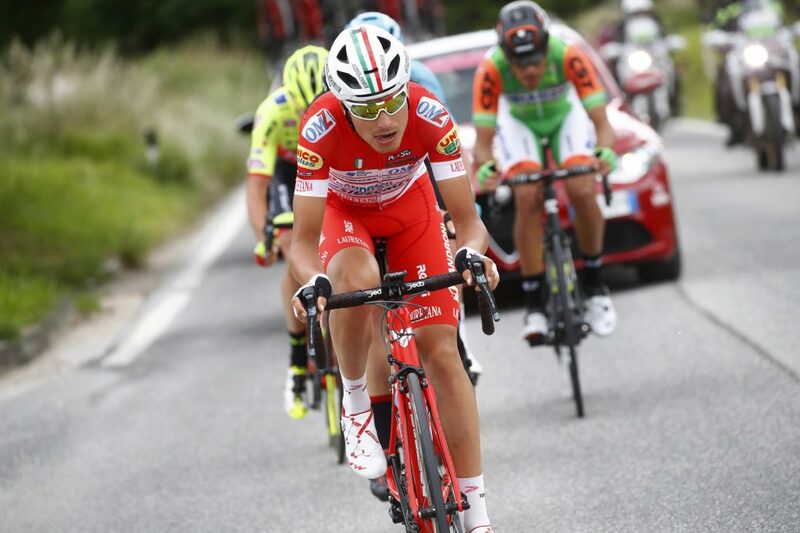 Good performance continues at the Giro di Slovenia for Androni Giocattoli Sidermec. The Italian champions in the short Slovenian stage race, have also been highlighted in the queen stage of the race with the good placement of Ivan Sosa and a generous and interesting action in the final of Fausto Masnada. In the 155 km Ljubljana-Kamnik, where Roglic with partial success has ousted Uran from the top of the general classification, reached the tenth place, in the small group of the very first ones, the Colombian Ivan Sosa. The stage was also marked by the good breakaway of Fausto Masnada, long framed by Eurosport cameras that broadcasted the race live. Androni Giocattoli Sidermec, who started the Giro di Slovenia with Manuel Belletti’s fifth place, has always placed a rider in the top 15 of the day in the four stages so far. The comment from the team manager of Androni Giocattoli Sidermec Gianni Savio: “We participate in the Tour of Slovenia, as finishing for the Adriatic-Ionian, where we intend to consolidate our leadership in the ranking of Italian team championship. Congratulations, therefore, to the boys who even in a preparatory race knew how to stand out ».